Confetti is a contemporary 20"x14" watercolor on 140 lb. hot press Arches paper. ( Select "Wall Preview" below for a room type, size and wall color to better view the art). Confetti is a party atmosphere with iridescence in the paint. The squeegee is my tool of choice to create a calligraphy of color for the soul, uplifting spirit, the flat color open and inviting. ( Select "Wall Preview" below for a room type, size and wall color to better view the art). 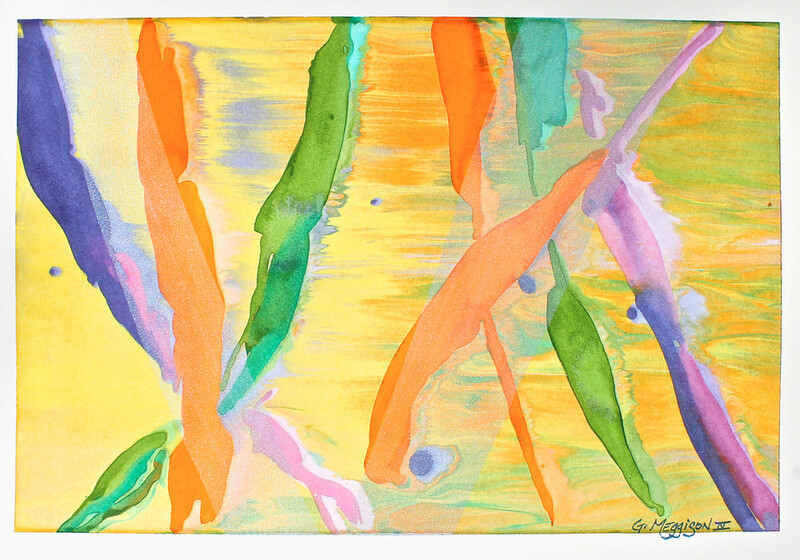 Confetti is a contemporary 20" X 14" watercolor on 140 lb. hot press Arches paper. (I recommend printing on Fine Art Paper. Select "Wall Preview" below for a room type, size and wall color to better view the art). 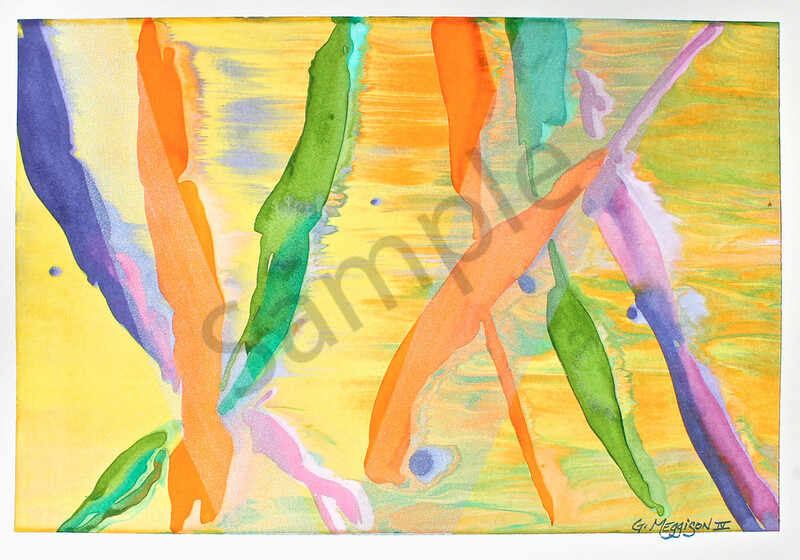 Confetti is a contemporary 20" X 14" watercolor on 140 lb. hot press Arches paper. A party atmosphere with iridescence in the paint. The squeegee is my tool of choice to create a calligraphy of color for the soul, uplifting spirit, the flat color open and inviting. (I recommend printing on Fine Art Paper. Select "Wall Preview" below for a room type, size and wall color to better view the art).